Open Engagement is an international conference that sets out to explore various perspectives on art and social practice and expand the dialogue around socially engaged art making. 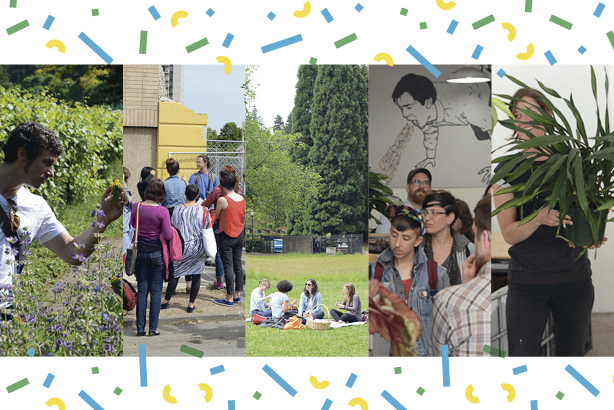 The Open Engagement conference is an initiative of Portland State University’s Art and Social Practice MFA concentration. Directed and founded byJen Delos Reyes and planned in conjunction with the Art and Social Practice students, this year’s conference features keynote presenters Claire Doherty, Tom Finkelpearl, and Michael Rakowitz. For Open Engagement 2013 we are bringing together these voices to reflect on publics, contexts, and institutions in relation to the current state of socially engaged art, education, and institutional practice.Through conversations, presentations, workshops, interviews, open reflections, and related projects created for or presented at the conference, we will be investigating, questioning, celebrating, and challenging the current state of art and social practice. This conference is a site where an intergenerational exchange can occur between emerging artists and established artists. This is also a site where transdisciplinary conversation is possible. Open Engagement is a free conference that will take place May 17–19, 2013, in Portland, Oregon. Portland State University, PSU MFA Art and Social Practice, OTIS College of Art, Arizona State University, SPARC, Southern Methodist University, and the Regional Arts and Culture Council.